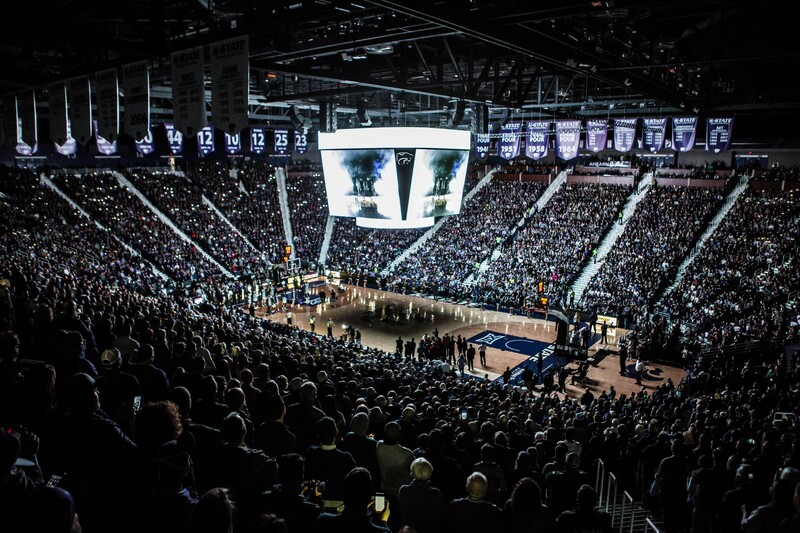 Wildcat fans brought the energy to Bramlage Coliseum on Tuesday night as the Kansas State men’s basketball team crushed an eight-game losing streak to in-state rival Kansas, winning 74-67. The Wildcats opened with an electric run, but KU put a halt to it when the Jayhawks switched into a zone offense early in the first half. The zone offense by KU appeared to help fizzle out the Wildcats, just like the matchup in Manhattan last year. After the game, head coach Bruce Weber talked about KU breaking into the zone in previous years. “I think they went zone after our hot start; the last few years, they’ve just got on us right away,” Weber said. The Wildcats struggled in the zone in the first half, and it looked like KU was going to cruise to victory after the Wildcats went on an seven-minute scoring drought as the Jayhawks got back into the game with a 13-0 run, ending at a 15-1 run during an eight-minute span to take the lead at 31-27. Despite shooting 38.7 percent from the floor, the Wildcats were still in the game, only trailing 33-30 at halftime. The Jayhawks opened the second half playing the zone, forcing K-State to shoot, but K-State erupted with 44 points in the second half and shooting a field goal percentage of 48.1 percent. K-State would have to rely on quick scoring, with Jayhawk turnovers not allowing KU to set the defense. Senior forward Dean Wade found space in the middle of the zone for quick shots, and the Wildcats forced 23 turnovers and scored 22 points as a result. KU had no option but to switch defenses following a media timeout, and K-State immediately began a scoring drought. K-State broke out again after going on an 8-0 run during two of the last five minutes to lead 64-59 with two minutes remaining in the game. While the Jayhawks kept playing zone, the Wildcats responded with a crucial 3-pointer by junior forward Xavier Sneed to put the Wildcats up 67-61 late in the game. It was clear that the K-State offense was ready for KU’s zone defense. 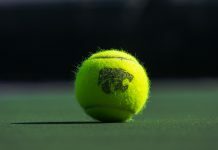 K-State will not have much time to celebrate its victory as the Wildcats have a crucial away game with Baylor on Saturday for the top spot in the Big 12 Conference. The game will tip off at 5 p.m. and can be seen on ESPN2.